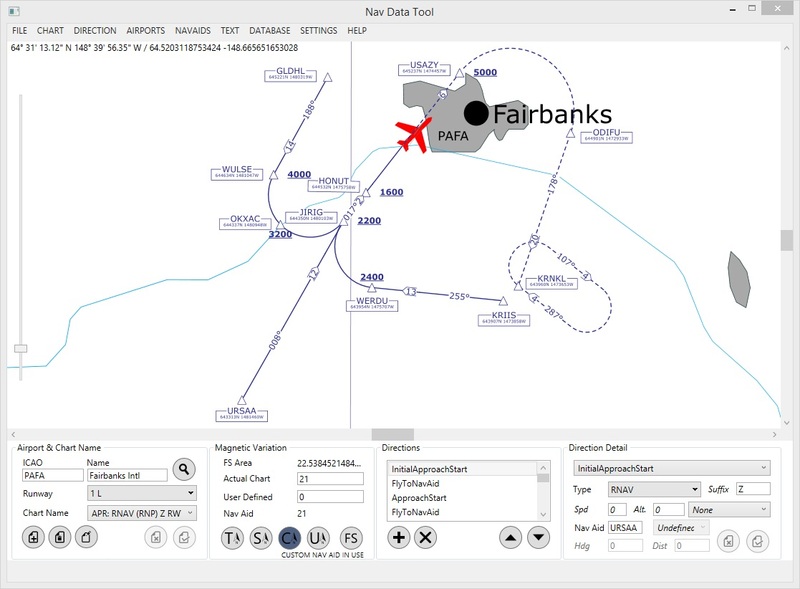 The nav data is created by the user obtaining navigation charts such as SIDS, STARS and Approaches for an airport(s) and entering directions into the software to replicate the charts. Once the charts have been replicated, a simple click of a button will automatically generate all the nav data for those airport charts and it will automatically appear in the CDU's of the aircraft above as selectable STAR's, SID's, Approaches, Transitions etc. 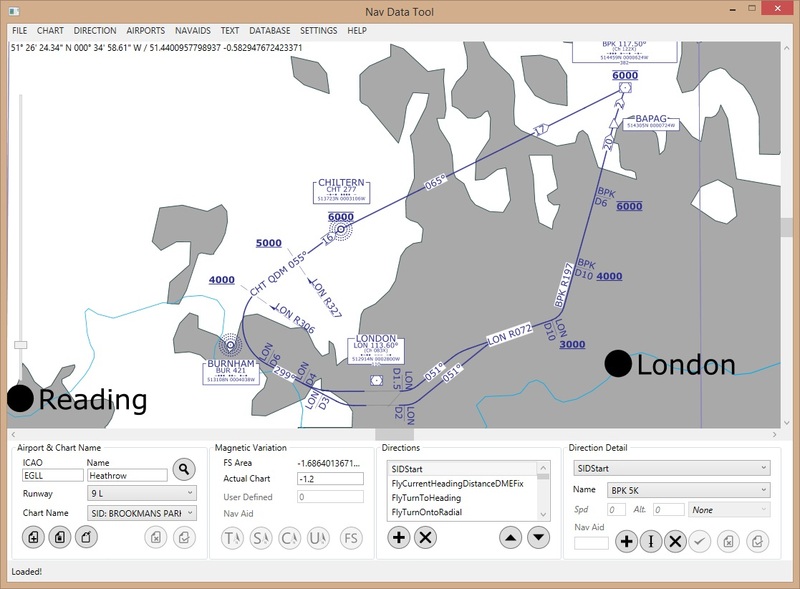 Ideal for airports that no longer exist, airports that have different names, fictional airports or airports that are not currently well supported by nav data bulk production providers. It can also be used to re-create historic nav data for those who like retro flight simming or to make regular AIRAC cycle updates if you only frequently use several airports. Please ensure your PC meets the minimum system requirements before purchasing. Nav aid data produced complies with ARINC 424 naming standards. Accurate upto 5 nano metres (subject to chart data accuracy). 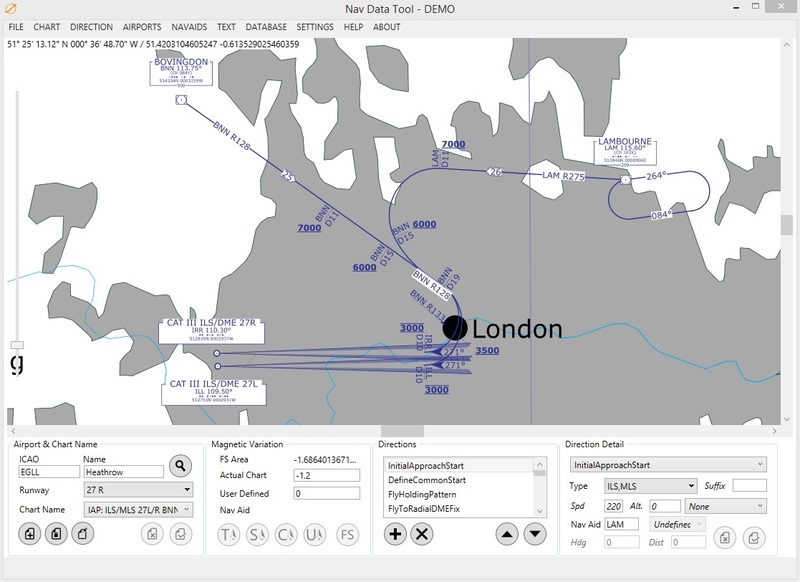 Nav aid, airport and runway data is imported from your flight sim so it represents what is available to use. 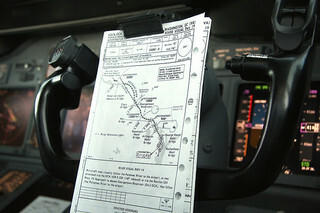 Ability to obtain more up-to-date nav aid data from Our Airports. Ability to add/calculate missing nav aids or obtain them openNav. Ability to calculate the slaved magnetic variation of VOR's. Import and Export charts to share with others. Charts display similar to NATS UK charts.